The International Fellowship of Christians and Jews (The Fellowship), which has helped thousands of Ukraine Jews immigrate to Israel, was flooded with hundreds of phone calls and emails in the past two weeks from Ukraine Jews seeking to immigrate to Israel and expects the demand to grow amid escalating tensions with Russia over Crimea and the eastern Donbass province. The International Fellowship of Christians and Jews (The Fellowship) was founded in 1983 to promote better understanding and cooperation between Christians and Jews, and build broad support for Israel. Today it is one of the leading forces in helping Israel and Jews in need worldwide – and is the largest channel of Christian support for Israel. 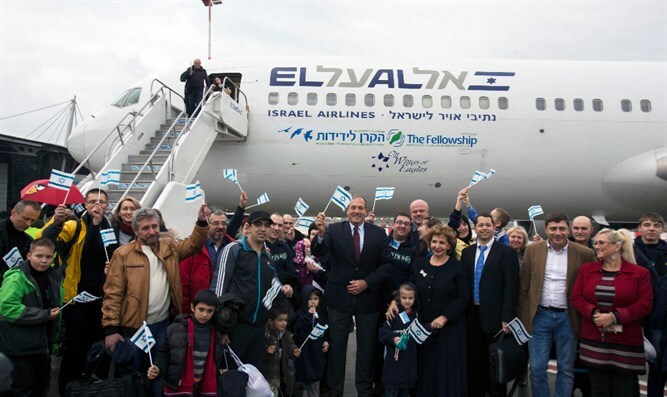 Led by its founder and president, Rabbi Yechiel Eckstein, The Fellowship now raises more than $140 million per year, mostly from Christians, to assist Israel and the Jewish people. Since its founding, The Fellowship has raised more than $1.3 billion for this work. The organization has offices in Jerusalem, Chicago, Miami, Kiev, Toronto, Seoul and Sao Paulo.